A Reminder about the Dangers of Mixing Energy Drinks and Alcohol – TAM Card® Nation in Vegas! 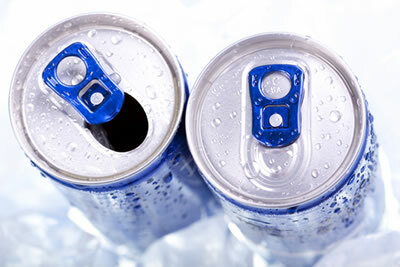 In recent years energy drinks, or flavored beverages which contain stimulants such as caffeine, have become increasingly popular among consumers. In fact, energy drinks such as Red Bull® and Monster® are very popular among teens and young adults in particular. In moderation such beverages may not be unsafe, but overconsumption or mixing energy drinks with alcohol can be very dangerous. From 2005 to 2009 (the latest year for which figures are available), there was a sharp increase in the number of emergency departments visits associated with the use of non-alcoholic energy drinks – from 1,128 visits in 2005 to 13,114 visits in 2009. Additionally, about 44% of these ER visits involved energy drink consumption combined with the use of other substances such as alcohol, pharmaceuticals or illicit drugs (SAMHSA). More recently stories have surfaced regarding 5 deaths, including that of a 14 year-old California teen, which may be tied to consumption of Monster Energy Drinks, and the FDA is investigating (USA Today). This news should serve as a reminder to service professionals and consumers alike that it can be a risky behavior to mix caffeinated energy drinks with alcohol. In fact, the FDA has raised concerns that caffeine additives may mask some of the effects consumers typically rely on to determine their level of intoxication. Drinkers who consume alcohol mixed with energy drinks are 3 times more likely to binge drink than drinkers who do not report mixing alcohol with energy drinks (Centers for Disease Control and Prevention). Servers and sellers of alcohol beverages are taking note. If your establishment currently serves energy drinks mixed with alcohol, you may want to consider removing these items from your menu. Additionally, as always guests should be monitored closely for responsible consumption. No one should be over served. Complete your alcohol awareness course with TAM® of Nevada in order to learn more about responsible beverage service and the effects of alcohol on the body.